Ever heard of white pickles? Well, this story centers around them and how they figured into an accident with a buggy load of pickles spilled. Oh, wait.. or was it an accident? Kept me guessing until the end. I enjoyed reading how Kappy figures it all out. ABOUT THE BOOK: Kathryn “Kappy” King is happy being a plain-spoken unmarried odd-woman-out in her Pennsylvania Amish hometown. Her talent is making the special kapps local women use to cover their hair. But her skill at uncovering trouble in this quiet valley is about to be truly tested . . .
Kappy won’t let her community’s silence keep justice from being done. 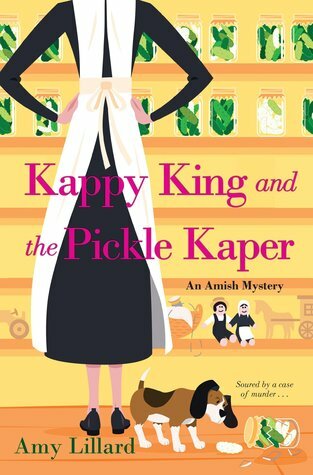 And even though a still-shunned Edie thinks of moving back to the city, she and Kappy start rooting out secrets about the Eshes’ long-time neighbors–and new pickle-producing rivals. But when they learn that Sally’s brother is secretly courting an Englisch girl, their investigation takes a disturbing turn . Hannah has some hard choices to make. 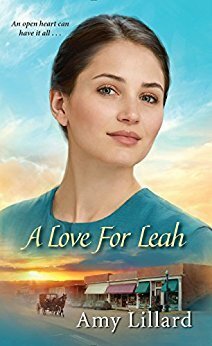 She struggles with wanting to return to her former Amish life but with a son who has never lived Amish and a former Amish 1st love… She is having to learn that to return to her Amish family she will have to return to her faith and to confess some secrets that may tear her whole family and life apart. I enjoy reading about the Amish and this book has a story line that shows us how family and their faith is so very important. I really liked this story about Hannah. I was gifted a copy and my review is voluntary.. 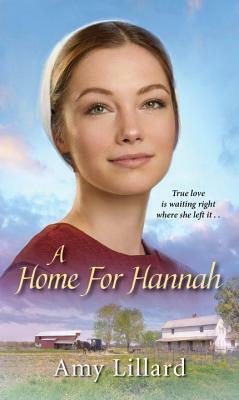 This is a more modern Amish story and I liked it! This young couple has found that a job outside of the Amish community and the cell phone that the husband needs to check in with his boss causes a rift in their marriage.. I enjoyed the true to life situations in this Amish romance. ABOUT THE BOOK: In the close-knit Amish community of Wells Landing, Oklahoma, a women’s quilting circle welcomes a new member who is struggling to keep her marriage together—or let it go . . . I requested a copy from NetGalley and my review is voluntary. “The Amish Christmas Sleigh” is made up of three novellas, each of those short stories were written by a different author. 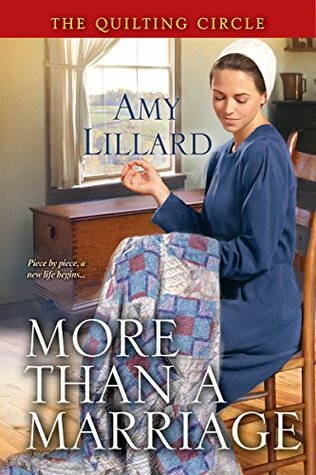 Those Amish genre authors are Kelly Long, Amy Lillard, and Molly Jebber. I have been a fan of these authors for a long time and they did not disappoint! I found each to be a story of faith, family and love. I think Molly Jebber’s story was my favorite of the three. You can read more about the stories below.. 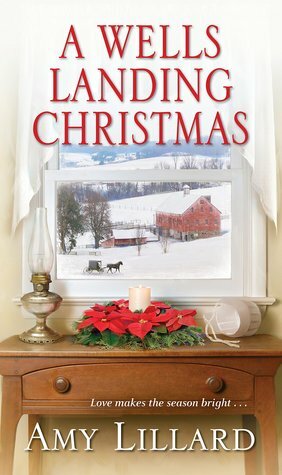 The Amish Christmas Sleigh by Molly Jebber, Amy Lillard, and Kelly Long is a 384 page book in the Christian Amish fiction genre. It is published by Kensignton and was released on September 29, 2015. To purchase your copy, click on the picture. I was given a copy to review by Celebrate Lit for my honest opinion and to review..